Heat milk to a light boil, turning off heat when it reaches the scalding point (with small bubbles across the top). Stir in melted butter, sugar, salt, and ground cardamom. Let mixture cool until “finger-warm” (still quite warm, but just cool enough to touch). Stir in yeast and let sit for 10 minutes. On a floured counter, knead dough lightly until smooth and shiny. 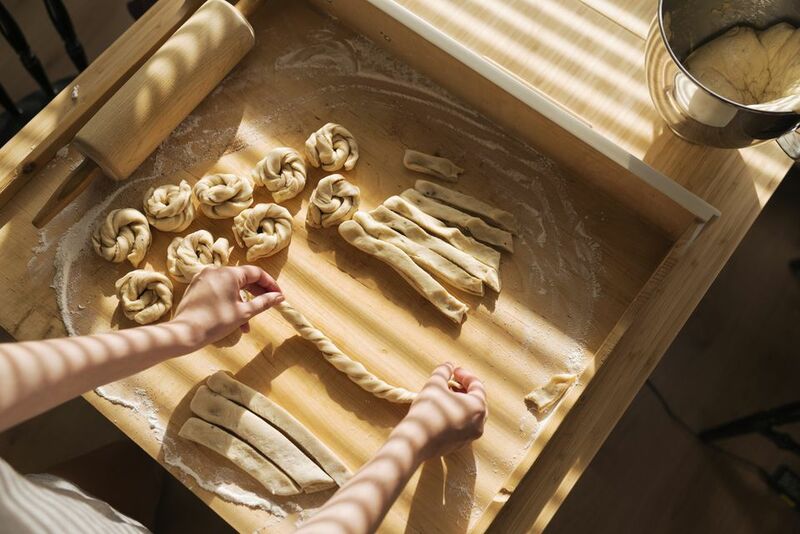 Divide dough into two halves and use to make braided loaves (vetebröd), buns, and/or cinnamon rolls (kanelbullar). If using a stand mixer, exchange the mixing paddle for the dough hook after you’ve added the first 5 cups of flour. Use the dough hook to mix and knead the dough as you add the remaining 3 to 4 cups of flour.